Are you ready to fill out your bracket? The odds of picking all the tournament winners is 1 in 128 billion. The odds of picking your winning analytics strategy are much better. 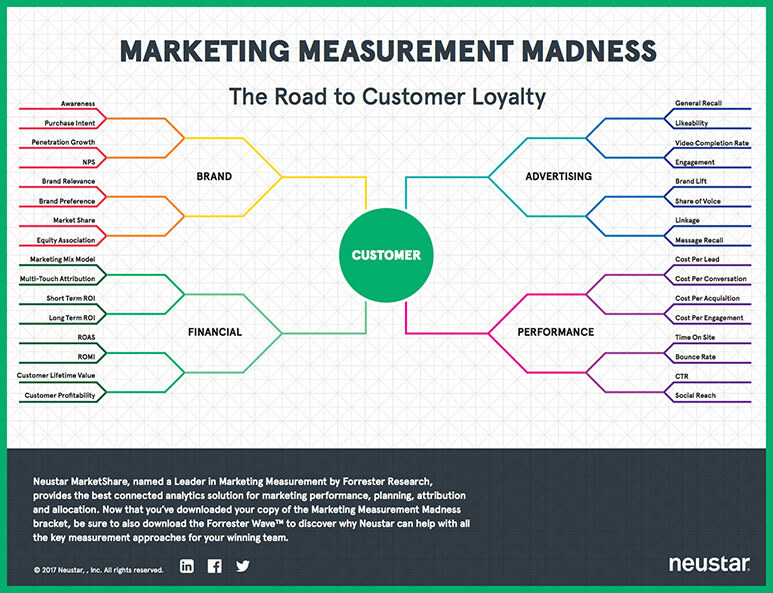 Neustar MarketShare®, named a Leader in Marketing Measurement by Forrester Research, has the best measurement and analytics solution that brings planning, resource allocation and attribution together so you can make the right business decisions to drive growth. You can now have connected analytics across people, places, and things with trusted identity, bringing online and offline metrics together so you can make smarter decisions that help you win every game.